If you think you know what a cookie is, you’re probably wrong. Put down the thin, crispy wafers you call cookies. Curse the pre-packaged dough from the aisles of the local supermarket. Forget about Tiff’s Treats and the piles of cash you spend on them. 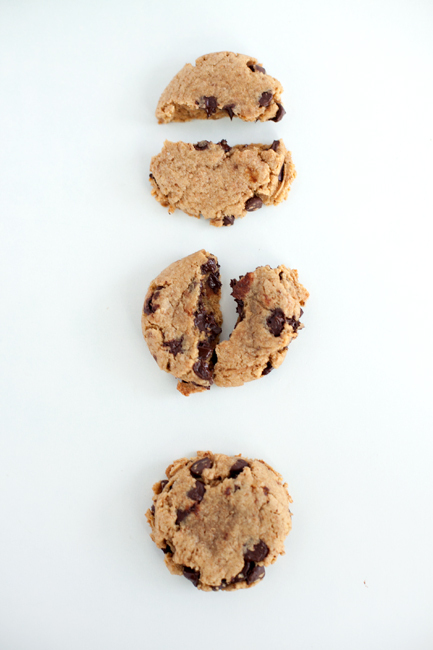 Instead, behold the recipe for the perfect chocolate chip cookie. If you care about yourself even a little bit, take this recipe and immediately bake some homemade cookies that are not only healthier, but taste significantly better than the hideous packs of refrigerated dough most college students buy to “bake” themselves. Fear not the stand mixer, it’s not needed for this recipe. And don’t worry about too many dishes, everything has to be mixed in one bowl. Your efficiency apartment will thank you. This recipe calls for cheap — but real — ingredients easily found in a local supermarket. Plus, these ingredients will last for quite some time, so it’s worth the initial purchase. The science behind baking cookies allows you to create a chewy and soft treat that will be the best thing you could ever serve your friends. Seriously, you are insulting your friends if you serve them pre-packaged tubes of Pillsbury dough. A mixture of whole wheat and bread flour gives cookies the moisture they need. The bread flour has extra gluten, the key binding agent, and whole wheat flour allows more moisture to get into the cookies. All-purpose flour would leave the cookies a little flatter and with a not-so-great flavor profile. Using baking powder instead of baking soda will ensure the cookies don’t spread and become thin or crispy. This is because baking powder allows cookies to set sooner. You’ll also avoid the metallic taste that baking soda can sometimes give off. Standard cookie recipes do not use margarine, but the combination of the margarine and the butter allows for a softer fat base, which means more air and moisture stays in the dough. The sharp melting point of butter makes cookies spread more, so adding the margarine gives them a perfect puffiness. When the flour is mixed in, the dough soaks up all of the ingredients and makes them a delicious mound of cookie. 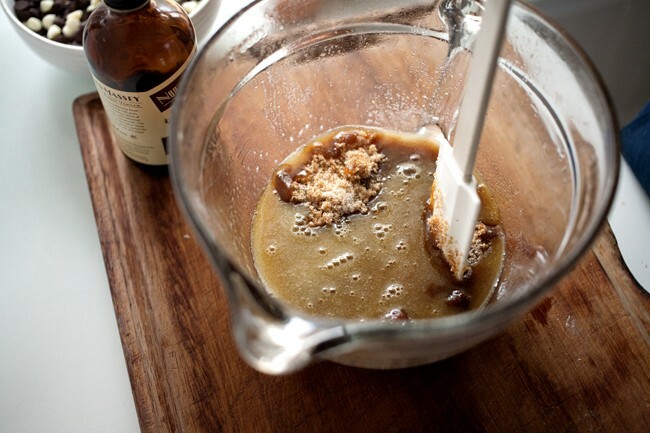 Dark brown sugar gives a complex nuttiness to the dough, and also brings more moisture and tenderness to the cookies. Brown sugar is coated in molasses, which attracts water. These will not be Chips Ahoy. These will be Delicious and Moist Ahoy. Next up is the vanilla. Do not buy imitation vanilla extract. Go ahead and invest in pure vanilla extract. Imitation vanillin has a strong likelihood of being made from tree bark. Don’t try to seduce a significant other with tree bark cookies. That’s just not good. Splurge and buy some good chocolate chips. Using dark instead of milk chocolate takes away a sweetness that would overpower the entire cookie. Dark chocolate becomes sweet and rich when cooked, so be ready for some glorious, melting chocolate to get all over your hands when you gobble down these cookies. Let this recipe guide you away from processed and artificial ingredients. Let it steer you toward warm and chewy chocolate-y goodness. Let it fill your tiny apartment with love. -Melt margarine and butter in large heatproof bowl in microwave. Let cool slightly. -Combine flours, baking powder and salt in a separate bowl and set aside. -Add sugars to margarine/ butter mixture. Mix by hand until smooth. Then add eggs and vanilla. Stir until smooth and mixture is less grainy. 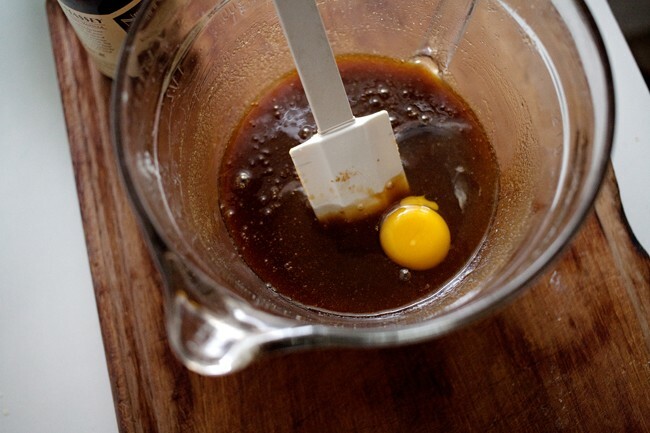 -Slowly add the dry ingredients to the mixture. Add 1/3 of the dry ingredients at a time, mixing until smooth. 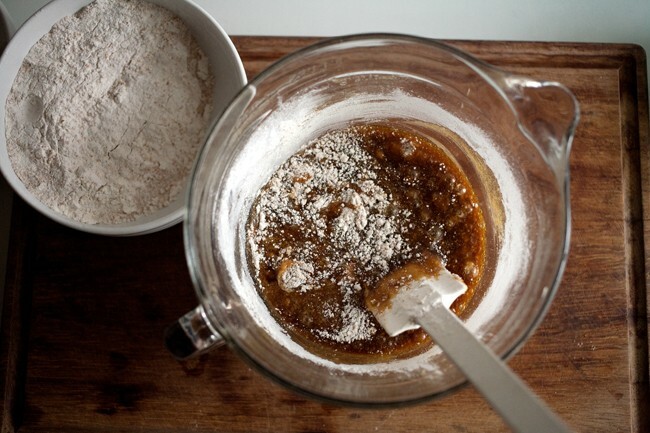 -If dough still appears runny, add bread flour in ¼ cup increments. 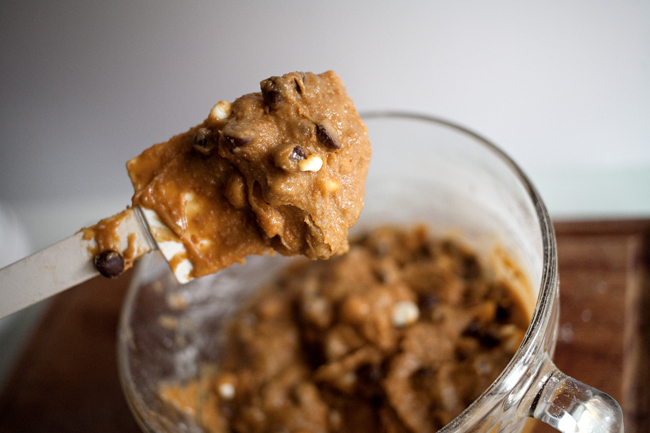 -Add chocolate chips to dough. -Refrigerate dough for 15-20 minutes. -Using a two tablespoon cookie scoop, put eight scoops of dough at a time on a cookie sheet covered in parchment paper. Lightly flatten each scoop. -Bake 9-11 minutes, until the edges of the cookies are golden brown. The centers will look underdone when taken out of the oven. -Let cookies cool on baking sheet for two minutes before removing to wire rack to cool completely.